What if your resume was more about God than you? Do a search for "Resume" online and you'll find things like the "10 words that ruin a resume", "6 tips for writing an effective resume", or simply "How to make a resume". While these are all fine and good, helpful even, there seems to be a missing link. There's one big thing that's not being said by the experts about resume's that needs to be said. Recently I was talking with a close friend who is a hiring manager.During the conversation he made a point that struck home with me. He said: "What do your qualifications, or those of the other interviewees, have to do with your getting hired? It's the Favor of God that's going to promote you in due time, not your qualifications." WOAH! What a a great reminder! It's about God, not about me! In addition, he noted how he has so often seen a resume embellished or enhanced in an attempt to sell "how great I am". He stated, that there is a dose of pride found in many resume's that just turns him off. However, my friend pointed out that you cannot blame the person entirely, we've created a culture that teaches this self promotion. The very act of creating a summary document of your past accomplishments, in an effort to convince someone to interview you for a position, lends itself to boasting and pride. A résumé (/ˈrɛzʊmeɪ/, rez-u-may or /rɛzʊˈmeɪ/; less frequently /ˈrɛzjʊmeɪ/ or /rɛzjʊˈmeɪ/; French: [ʁezyme]), also spelled 'resumé' or 'resume', is a document used by persons to present their backgrounds and skills. Résumés can be used for a variety of reasons, but most often they are used to secure new employment. 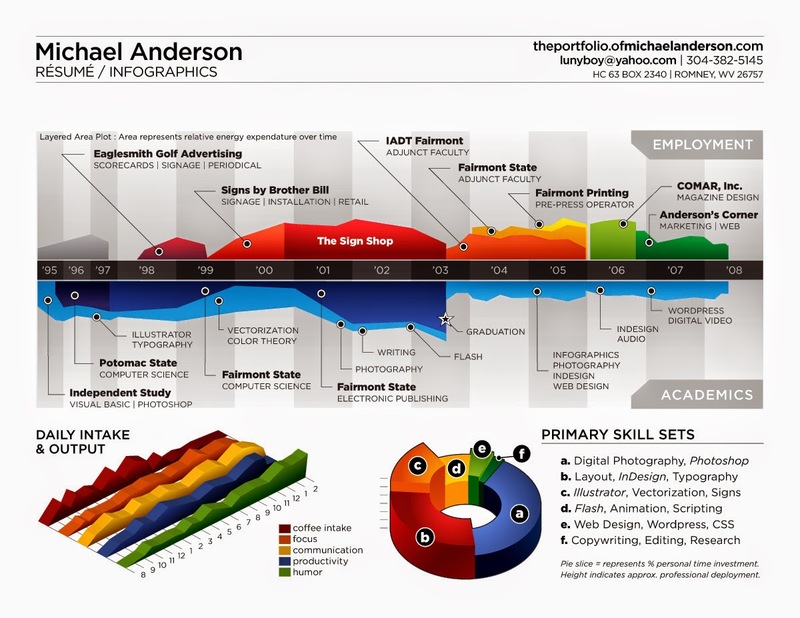 A typical résumé contains a summary of relevant job experience and education. The résumé is usually one of the first items, along with a cover letter and sometimes an application for employment, which a potential employer sees regarding the job seeker and is typically used to screen applicants, often followed by an interview. The résumé is comparable to a curriculum vitae (CV) in many countries. However, it is substantially shorter than a CV in English Canada, the U.S. and Australia. In French, résumé means summary. He went on to say that we get so focused on our education, experience, background, accomplishments, and all these things that are going to help us get ahead of the other guy as we compete for that one job... but what if there were another way of looking at the Job Market? What if we turned the tables on the resume building? What if the resume was not a list of YOUR past accomplishments and achievements. What if your resume had nothing to do with you at all? If you are a believer in Jesus, you should know that God has a specific and targeted plan for your life. God promotes you, not your background. God lifts one up, and puts another down. Humble yourself before God, and HE will lift you up, in due time. As I look back over my life, I see a trail of jobs that I found searching diligently and then asked God to give me. In most cases, God gave me what I asked for. I've never been without work, sometimes two jobs at once. However, each position seemed empty. So I started looking for a new way to find a job. I started praying not for what I wanted, but for what HE wanted. It was a paradigm shift in my job search. I have talked about before, and probably will again, about all of the things God showed me during that season (which was just the start of this revelation for me), and I wrote an article about The Sweet Spot, which is at the intersection of your greatest skill and your greatest passion. He showed me to look to Him in my search, and ask Him about what I should be looking for. It was within two months of posting that article that God led me to the job I have now. I don't want to call it "unexpected", because frankly I was learning how to build my expectation from as early as a year before, that "something would change", God would show me what I was doing wrong and I would look to Him and He would direct me into HIS plan. That's not to say that my expectation was perfect, mature, or without doubt. In fact, I've struggled with doubt my entire life... but I was working on trying to put my faith, belief, and expectation aside, and rely on His Grace instead. I just kept pulling myself off of the fear and back to Him. I was so ridiculed with self doubt, that I almost didn't go to the interview for the job I have now. If it wasn't for the Holy Spirit, my wife, and my wonderful new boss... I wouldn't have gone. But that's another story. Frankly... the job was unanticipated. Out of the blue (or so it felt) I got a call, interviewed, and landed a job that is everything God had shown me I should be looking for. But it wasn't because I went hunting it down. I did apply to it (along with 100+ other positions during those months). But I didn't know what it was, I didn't understand the job (even after the interviews really). It wasn't until a few weeks into working the new job that I realized how much of a perfect fit it was, and the best part is... I DID NOT DO IT. It wasn't my planning or research. A non-believer would call it dumb luck that I submitted the application not knowing what it was, and that I got interviewed two months after applying, and that I was late to the interview and got hired anyway, and that in so many ways God's favor was on the process. That was the lesson. FAVOR. I didn't get hired because of my talents, I got hired because of His Favor and Kindness to me. And that brings me back around to my point (which you probably thought I'd forgotten). What COULD a resume look like, that wasn't about ME (or you)? What if I chose to look at my resume as a highlights reel and review of all the Favor God has had on my life. What if my resume was all about what He's done in me, for me, and through me, and not about my background, my accomplishments, and me, me, me... What if my resume was about what My God can do through me FOR YOU? It need not sound so religious on paper, in fact, it probably shouldn't. We are in this world, and not of it. We are here to minister to them, not take from them. We are backed by the King of Kings, we are here to serve, not be served. And being too religious just turns people off. We have an enemy. That enemy is out to attack us, and prevent us from accomplishing the mission of serving others into God's Kingdom. It may be that we need to be a bit more stealthy in our movements on this earth. Maybe even like under-cover agents in some organizations. We should be wise as serpents, and yet harmless as doves. So maybe we write that resume, and it looks and sounds 90% the same as what others produce. Same basic content. But the attitude and Spirit behind what we write is totally different. And that scent of Favor wafts through the paper. We sow that resume as a seed, expecting a return for God's investment, not just ours. What would that resume look like? I don't know... I'm going to attempt to draft one myself. I'll try to remember to let you know how it turned out. Why don't you try and post yours to your LinkedIn profile, and I'll do the same to mine (here)? When you are finished, share the link to yours in the comments on this post.